This contemporary estate at 2956 SE Dune Drive is set within the private golf and oceanfront community of Sailfish Point in Stuart, FL. It commands 140 feet of Atlantic Ocean frontage, offering up seascapes to greet the eye from all main areas of the house, including the bedroom suites. 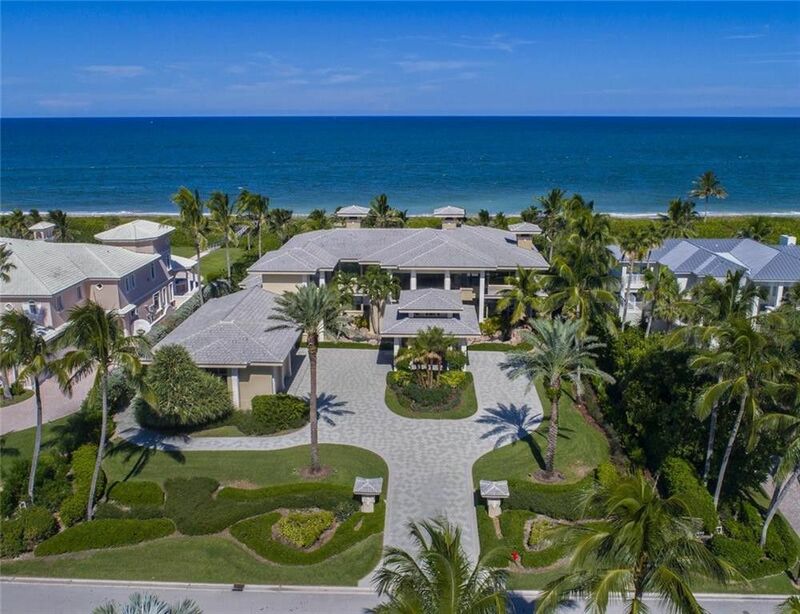 Sailfish Point is a 532-acre sea island community of 520 residences located at the southernmost tip of Hutchinson Island on southeast Florida’s Atlantic coast. Offering privacy, security and premium amenities in a natural setting surrounded by ocean and inlets, Sailfish residents live in spacious beachfront homes and intimate oceanfront condos, golf-view villas and townhomes with private docks. Send me more about this home in Sailfish Point! Sailfish Point offers access from its private marina to open water in just five minutes. The Indian River, the Atlantic and the St. Lucie Inlet all await, offering a vast variety of fishing and boating experiences from a luxurious sea island base. Often homeowners take their boats over to the city of Stuart for lunch and a little shopping. Some cruise to the Bahamas, approximately 75 miles east. Others make the day’s jaunt across the state via the Okeechobee Waterway to the Gulf of Mexico. Send me more about this home in Sailfish Point! Homeowners enjoy their beachfront property in freedom and security. Sailfish Point Security is a private entity providing 24-hour patrols of roads, waterways and beaches. Security clears all guests, contractors, service personnel and residents. Homes and lots around the harbors offer private, deepwater slips. Send me more about this home in Sailfish Point!